Change, culture and leadership are concepts that are inseparable. Achieving the desired culture for your team or school requires a process of change, and leadership is essential to make this happen. In my last post I encouraged you to consider leading change and taking on the role of a change agent wherever you are in your school, organisation, or even your family. Transitions are the phases we work through on the way to changing culture. If we can simplify this process, then change can be more achievable. It doesn’t mean that change is necessarily as quick and as simple as we would like it to be, but a clear process can help to track progress. 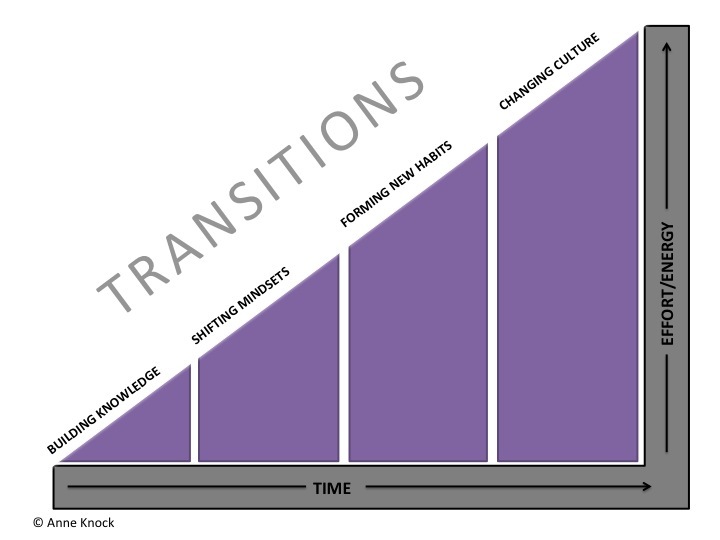 As I have thought about this, played around with ideas and read about culture change, I have identified four transitions to change culture. The change process begins inside, and then as it reaches a critical mass of people, culture change occurs. 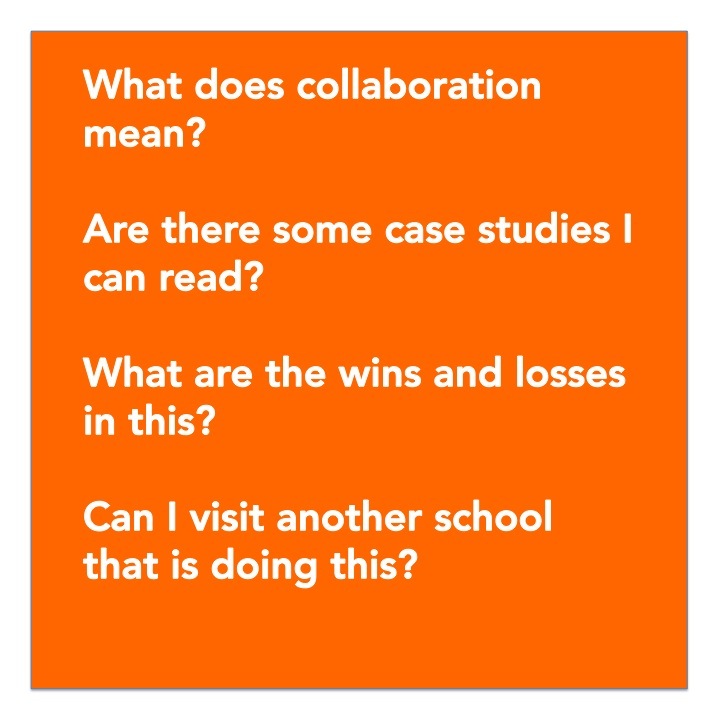 How can you grow a culture of collaboration in your school? Many people facing change want to know the facts. What does research tell us? Are there case studies we can draw from? What are the pros and cons? Providing the right conditions, the fertile ground of knowledge and information is the first step. This includes preempting questions and concerns and having some answers ready will help facilitate this process. At some point during the Building Knowledge phase, the seed of a changing mindset will start to germinate. This is when we begin to have a change in attitude. There is a lot of pondering and thinking through what the vision will look like in reality. As mindsets and attitudes change, the seed has taken root, the plant starts to rise above the surface and changing behaviour is evident. This behaviour shows new habits that are consistent with the vision and the desired culture. When there is a critical mass of changed behaviour, then the new culture can flourish. It’s not just one plant above the surface, but a landscaped garden begins to emerge. Organisations everywhere are struggling to keep up with the pace of change – let alone get ahead of it. * This process is both continual and parallel. As leaders we need to accept the complexity and rate of change, because… If not you, then who? Hi Anne, I am currently embarking on my masters that links to Leadership and Change. I assume that if I cite your posts, then you would be happy for me to refer to them in my work? This one in particular relates to my up-coming summative assessment task. The culture of school and the implementation of change. 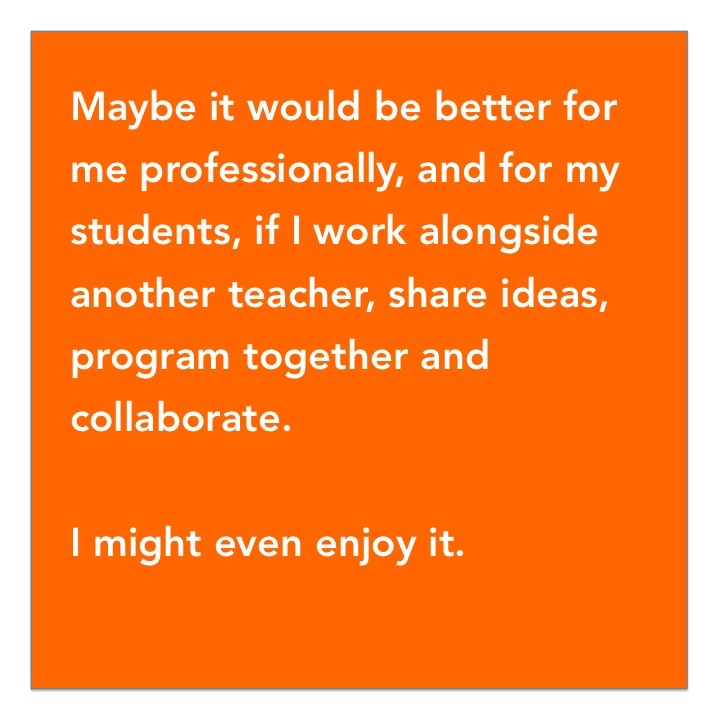 Thank you for putting your thoughts, knowledge and experience out there for us all to draw on! I’d be honoured for you to do that, Emma. Just happy that my thoughts resonates with people. Thanks for this great blog post, Anne. 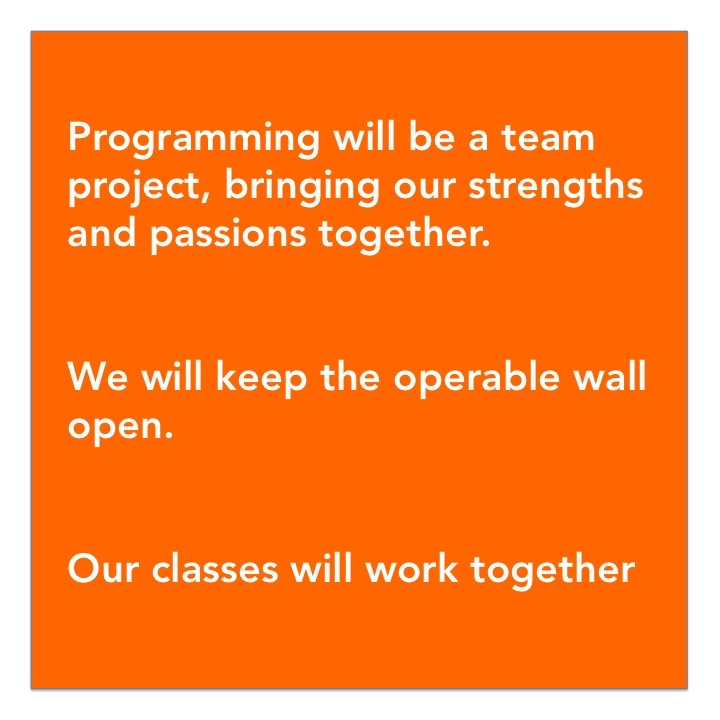 I have referenced it in my running record of 100 days of learning (http://eodysseyblog.wordpress.com/100-days-of-learning/). I also used your Transitions graph / image attributing it to you. I hope this is OK. If not, please let me know, and I will happily take it down. Thanks so much. More than happy.